Wash and drain spinach. Peel the avocado. Finely dice the Brie ILE DE FRANCE®, the two types of salmon and the avocado. Mix the Brie ILE DE FRANCE® with the avocado and salmon. Season the mixture with the finely-chopped onion, the dill, the lemon juice, the cream and the mayonnaise. Add salt and pepper. 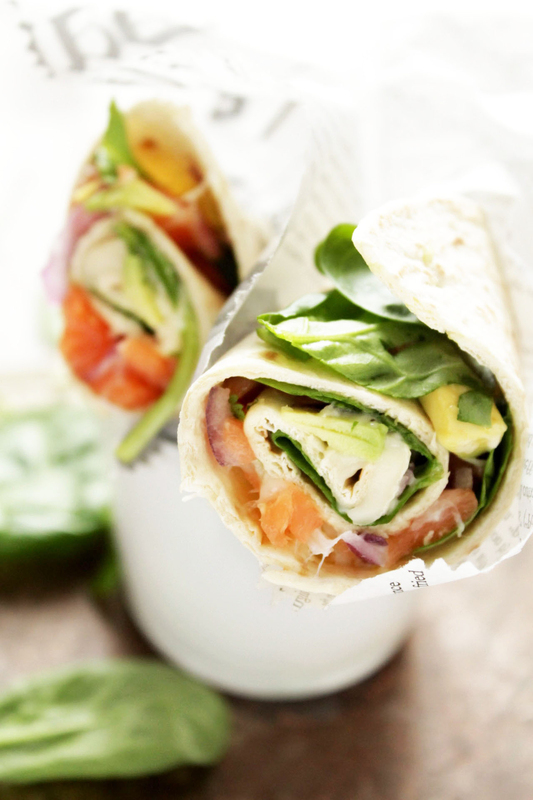 Fold the wraps: spread out the tortillas, arrange the spinach leaves and spread the salmon and Brie ILE DE FRANCE® mixture into a line in the middle. Roll up the tortillas. Eat with a salad or as an aperitif snack (cut the tortilla in half after rolling).